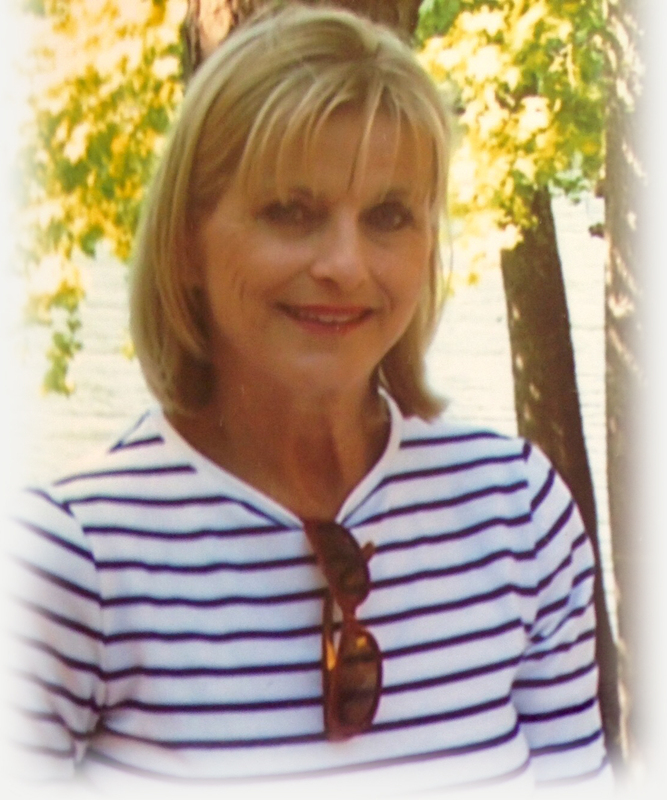 Terri Chesshir McClure, 62, of Little Rock, passed away on Nov. 8, 2015, after a short battle with an aggressive cancer. She was surrounded by her loving family while in the care of Hospice Home Care on Bowman Road. Terri was born in Nashville, Ark., on Aug. 1, 1953 to Delores and Aldwin “Jack” Chesshir. She was a loving and wonderful wife and mother, an exceptional sister and an incredibly special “Nonie” to her grandkids. Terri had a servant‘s heart in her faith, her career and to friends and family throughout her life. Despite little college training, Terri had a significant and enduring impact for over 30 years in the telecom field with Baptist Health, Arkansas Children’s Hospital, Alltel and Verizon. Later, she tried her hand at retail with a children’s consignment store (Weecycle Station). Even though the venture didn’t last, she made many new friendships that did. Terri is survived by her husband of over 42 years, Don McClure; son, Jeff McClure (Kristin); daughter Amy Finley (Matthew); daughter Heather Drew (Tommy); grandchildren, Hutson McClure, Phoebe and Charlie Finley, Davis and Hayes Drew; brother, Renny Chesshir (Alicia); sister Ann Hicks (Rick); brother, Kevin Chesshir (Paula); mother-in-law, Eugenia McClure, whom Terri devotedly cared for over the past two years; and many other family members and dear friends. Waiting for Terri when she reached Heaven were her parents; her father-in-law Clell McClure; nephews Alex Hicks and Hank Chesshir; and great-nephew Jack Crabtree. Visitation will be 6-8 p.m., Wednesday, Nov. 11, 2015 at Roller-Chenal Funeral Home, 13801 Chenal Parkway, Little Rock, AR, 72211; (501) 224-8300. Funeral services will be 10: a.m. on Thursday, Nov. 12, 2015 at the Fellowship Bible Church, with burial following at Forest Hills Cemetery. Memorials to Arkansas Children’s Hospital Foundation, P.O. Box 2222, Little Rock, AR 72203 would honor Terri’s life and the amazing care given to her youngest grandchild when he was born. Visit the online guestbook at www.rollerfuneralhomes.com/chenal. Nola Lois Shelton Huffman, 97, of the Green’s Chapel Community, died Thursday, Nov. 5, 2015, in Nashville. She was born Jan. 8, 1918 in Lebanon/Green’s Chapel Community, the daughter of the late Robert Joseph ‘Bob’ and Nellie Beatrice Priest Shelton. She was a member of the Green’s Chapel Methodist Church. She was preceded in death by her husband of 70 years, Homer Harvey Huffman; a daughter, Carolyn Cook. Survivors include: a daughter, Laverne Robertson of Memphis, Tenn.; a son, Harvey Huffman and wife, Dora, of Shreveport, La. ; a brother, John Shelton of Garland, Texas; also five grandchildren, eight great-grandchildren and seven great-great grandchildren. Funeral services were at 10:30 a.m., Saturday, Nov., 7, 2015, in the Green’s Chapel Methodist Church with Bobby Neal officiating. Burial followed in the Green’s Chapel Cemetery under the direction of Wilkerson Funeral Home. The family receivedfriends from 9:30-10:30 a.m., Saturday, Nov. 7 at the Green’s Chapel Methodist Church. 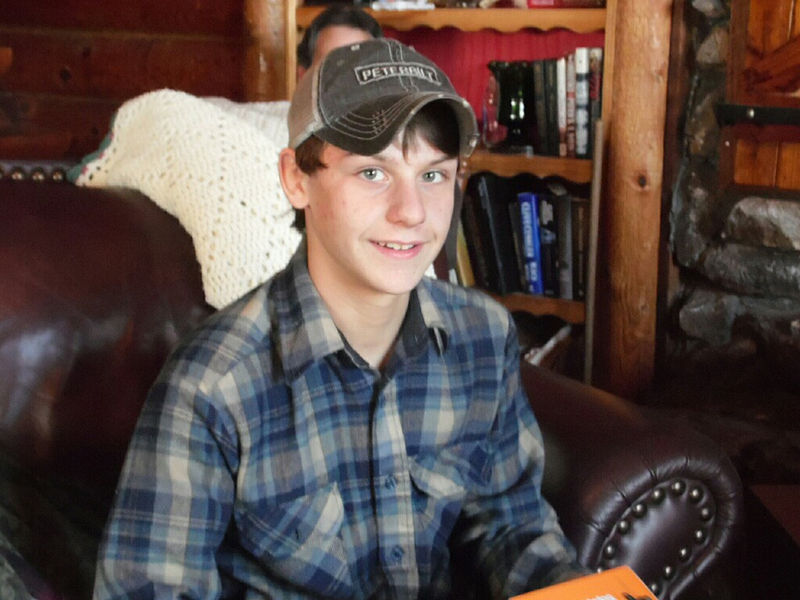 Alec Littlefield, 17 of Nashville, Ark., passed away, Saturday, Oct. 31, 2015. He was born Oct. 20, 1998 in Hot Springs, Ark., to Charles A. and Shannon Harrison Littlefield. Alec was an 11th grade high school student at Nashville High school. He was an excellent welder, loved photography, riding horses, hunting, fishing, and working on cars. He was just a good all-around country boy. His greatest achievements was helping people and in return he was accepted by everyone he knew. Alec was preceded in death by his paternal grandmother, Patricia Littlefield. His survivors include: his parents; Charlie and Shannon Littlefield of Nashville; two sisters, Victoria and Allie Littlefield both of Nashville; paternal grandfather, Gerald Littlefield of Nashville; maternal grandparents, Charles and Sharon Harrison of Arkadelphia; an uncle, David Harrison and wife, Tonya, of Arkadelphia; two aunts, Cathy Ewing and husband, John, of Eldorado, Judy Stewart of Arkadelphia; cousins, Blair Nutt and husband, Justin, of Arkadelphia, Dalton Guthrie of Arkadelphia, Dagon, Anna Claire and Katelyn Ewing all of Eldorado; a large host of extended family and friends that were his family, too. Services were be Thursday, Nov. 5, 2015 at 11 a.m. at Immanuel Baptist Church with Bro. Brent Thompson and Bro. Keith Mays officiating. 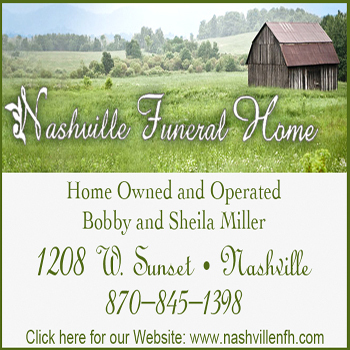 Interment followed in Nashville Cemetery under the direction of Nashville Funeral Home. The family received friends at the funeral home on Wednesday night from 6 to 8 p.m. You may send the family an online sympathy message to www.nashvillefh.com. Mary Jo Miller Wade, 72, of Dierks, Ark.,, died Sunday, Nov, 8, 2015, in Dierks. 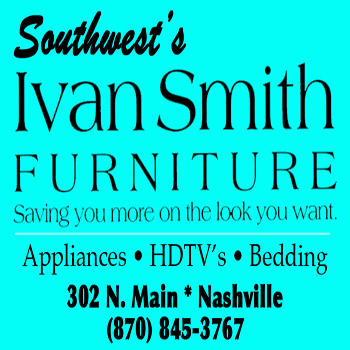 She was born Dec. 9, 1942 in Murfreesboro, the daughter of the late Roy and Avie Lowrey Miller. She worked for Tyson Foods as a Quality Assurance Technician, and was a Baptist. She was preceded in death by her husbands, Carroll Lambert and John C. Wade; a son, Stephen Wade; a brother, Calvin Miller. Survivors include: a daughter, Carolyn Jo Lambert Taylor of De Queen; two sons, Bill Lambert and wife, Kristi, of Dierks, and Buddy Wade and wife, Kaye, of Dierks; also grandchildren and great-grandchildren. Graveside funeral services were at 10:00 a.m., Tuesday, Nov., 10, 2015, in the Green’s Chapel Cemetery with J. W. Gilbert officiating under the direction of Wilkerson Funeral Home in Dierks. 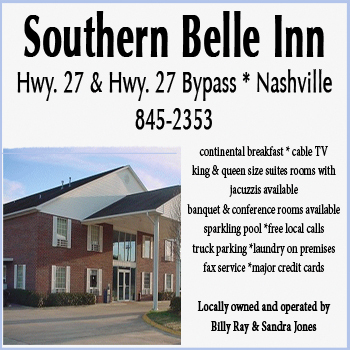 Visitation was 6-8 p.m. Monday, Nov. 9,at the funeral home in Dierks.